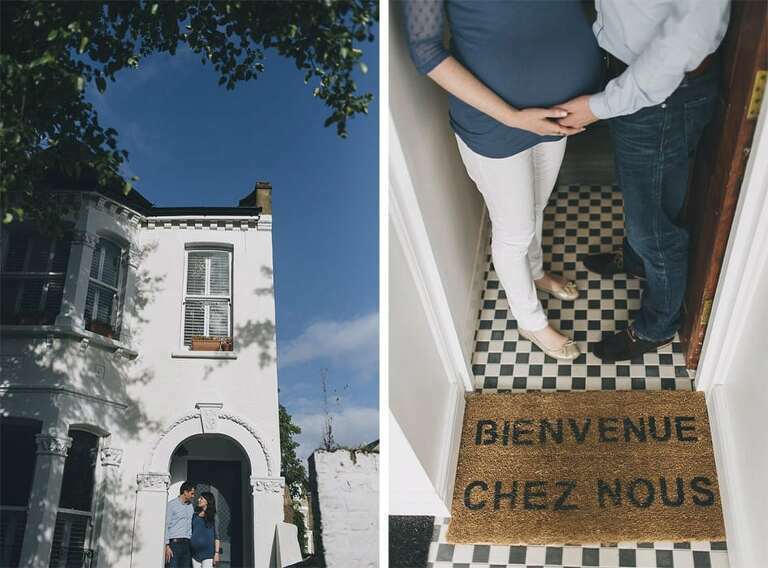 Wes and Michelle live in a gorgeous townhouse in West Hampstead, London and are expecting their first baby boy “Theo” in June. They asked me to visit them for a maternity couple shoot to celebrate their first home and blossoming bump! Being keen travellers with a passion for music and modern art the quirky couple asked for a pregnancy shoot that reflects their tastes and bohemian lifestyle.